Algreen's Modena self-watering planters add refined elegance to your home. Available in high gloss or matte finishes and in a variety of sizes to suit a wide range of home decors. Manufactured using a proprietary engineered polymer resin with UV Inhibitors and is frost proof to protect from the elements. These sophisticated planters include an easy to lift internal plant liner with convenient telescopic handles to make planting simple. The large water reservoir supplies water to your plants as required and is designed to reduce watering frequency. The Modena's water-level indicator shows you when the reservoir needs more water, making it easy to grow beautiful plants and flowers inside or outside. Algreen's Modena self-watering planters add refined elegance to your home. Available in high gloss or matte finishes and in a variety of sizes to suit a wide range of home decors. Manufactured using a proprietary engineered polymer resin with UV Inhibitors and is frost proof to protect from the elements. These sophisticated planters include an easy to lift internal plant liner with convenient telescopic handles to make planting simple. Caster wheels are integrated into the planter base to allow for effortless movement between rooms or your living space. The large water reservoir supplies water to your plants as required and is designed to reduce watering frequency. The Modena's water-level indicator shows you when the reservoir needs more water, making it easy to grow beautiful plants and flowers inside or outside. Has a distinctive stone appearance, while remaining lightweight and chip resistant. This CLASSIC 15.8-in round planter is part of Prosperplast MASSIVE CLASSIC collection. The pots are made of High Quality Polypropylene, very durable and UV resistant which guarantees unchanged colour and shape for a long time. This planter is a great addition to patios or decks. 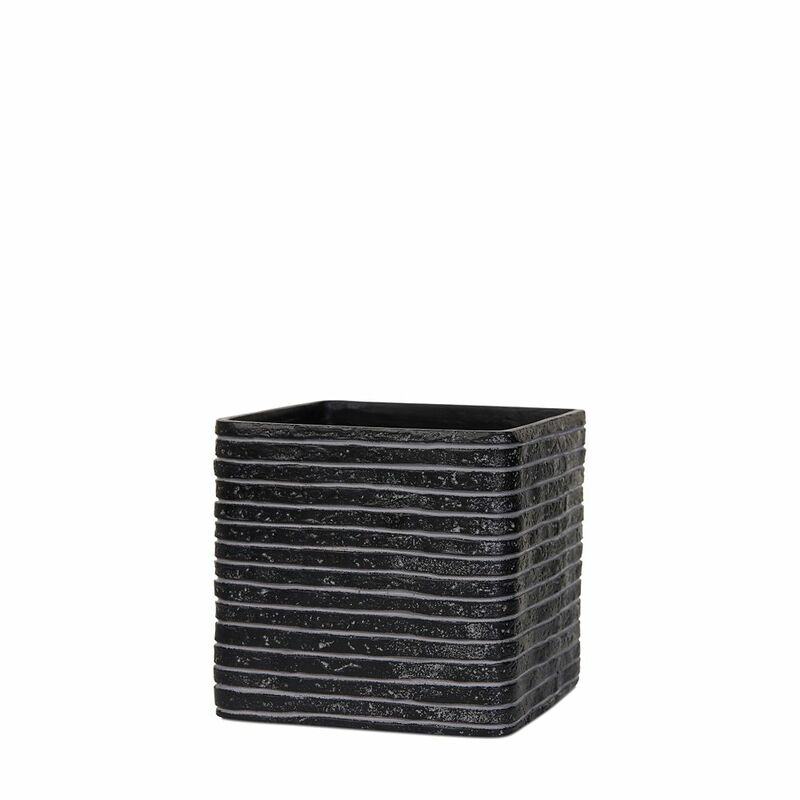 Planter square IV row 9.8x9.8x9.8 inch black A stylish collection and wide assortment of beautiful planters with a modern touch and clean-lined finish while adding a welcoming refreshing touch to porches, entryways, decks, poolside and indoors.